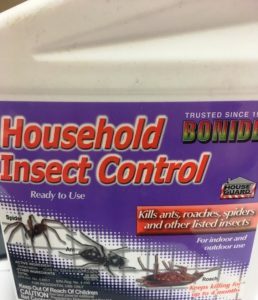 Millipedes, ants, silverfish, ground beetles, earwigs, centipedes, roaches, beetles, flies, roaches and more..
Indoor/Outdoor spray. Bed Bugs, millipedes, centipedes, sow bugs, all types of ants, fleas, silverfish, spiders, ticks, crickets, moths, gnats, mosquitos, flies, clover mites, bedbugs, weevils, beetles, and cockroaches and many flying insects. 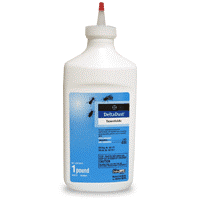 This water based insecticide is great for any areas inside the home with insect activity. Use along baseboard areas and areas where insects are known to frequent. This insecticide is very versatile indoors and out. Reapply as needed during high insect season April-October. This multi-purpose dust is used to kill a variety of insects including but not limited to cockroaches, ants, termites, bedbugs, centipedes, spiders, and carpenter bees. It is also used to kill insects such as aphids, plant bugs, boxelder bugs and Japanese beetles on shrubs, roses and ornamental plants. Can be applied to cracks and crevices in the foundation to prevent insects from entering and infesting your home. Kills up to 8 months when left undisturbed. 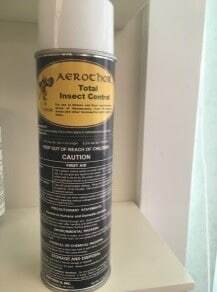 Provides contact and residual kill of: Ants, Crickets, Spiders, Cockroaches, Carpet Beetles, Centipedes, Silverfish, Firebrats, Fleas, Earwigs, Sow bugs, and Ticks. Use as a contact spray to kill exposed insects or as a residual spray by spraying cracks and crevices where insects gain entry into your home. 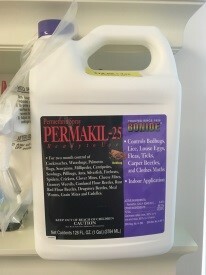 Kills: Ants, Cockroaches, Spiders, Pantry Pests, Bedbugs, Ticks, Fleas, Lice, Sow Bugs, Flies, Carpenter Ants, Silverfish, Pantry Pests, Clothes Moths, Clover Mites, Centipedes, Flies, Carpet Beetles, Bees. Shake well. Spray as a crack and crevice treatment inside. Will kill insects on contact and leaves a residual behind to continue killing. Exterior, hold approximately 12 inches from surface to be sprayed. Do not spray when windy and keep from spraying flowering plants. Treat foundation and surrounding soil around the structure. Can also be sprayed for ornamental garden insects.